Although Chicago is well known as the Windy City and for its world-famous hot dogs and deep-dish pizza, it now has a more cultural distinction. The Art Institute of Chicago was voted the #1 Museum in the World in 2014 by Trip Advisor. Chosen by the people rather than art experts, the ranking is quite an achievement and reflects the Sammy Cahn lyrics of “My Kind of Town,” the song about Chicago that Frank Sinatra made famous. Located in the suburbs of Chicago, WarmlyYours Radiant Heating is home to LAVA® and Ember® radiant panels, which are considered works of art themselves. Designed to beautifully complement your home décor, they are also functional infrared heating systems. Unlike forced air heating systems that distribute dust and allergens through vents in the home, infrared heating is a healthy heating alternative that’s perfect for allergy sufferers — whether it comes from radiant panels that hang on the wall or radiant floor heating. According to Zillow, the median home value index is $187,400. It’s a seller’s market in Chicago. With that said, statistics show that homebuyers typically undertake remodeling projects upon moving in, and radiant heating ranks top among those home improvements. 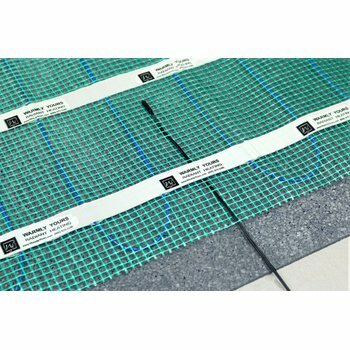 Since Chicago is known for its harsh winters, in-floor radiant heat is the perfect solution to add to a newly purchased home to warm those cold bathroom and kitchen floors. In this case, adding radiant electric heat to a small Chicago bathroom was very affordable and a great way for the new homeowner to bring additional warmth and comfort to their morning routine. 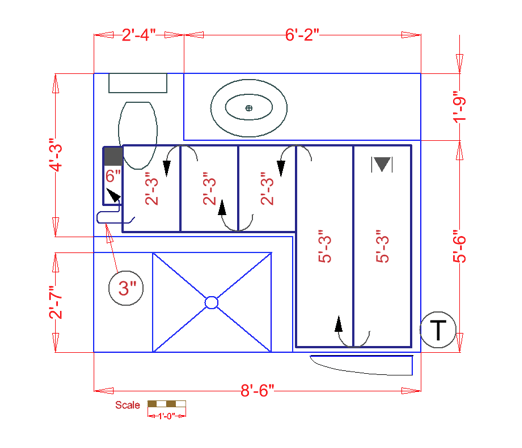 This Chicago homeowner installed a 1.5- by 18-foot TempZone™ Flex Roll in their 62-square-foot bathroom for less than $400 at a cost of just $13.50 per square foot (see floor plan). 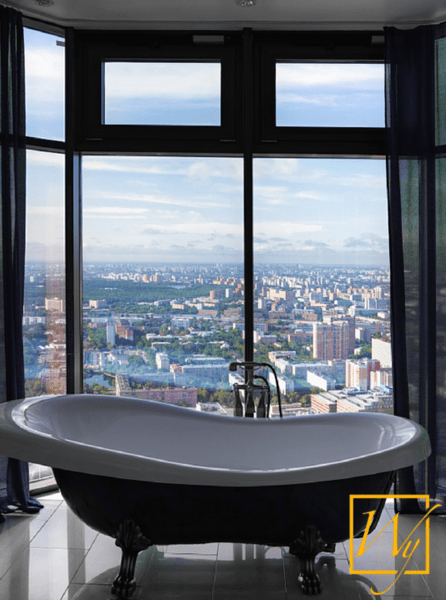 And with 15 watts per square foot of radiant heat (the highest allowed by the National Electric Code), it can be a primary heat source for this bathroom. In addition to the low cost of the materials, the operating cost should also be factored into the project. 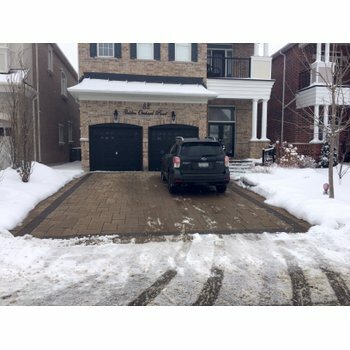 It only costs 8 cents per day to heat this bathroom for four hours a day, according to WarmlyYours’ Energy Use Calculator. 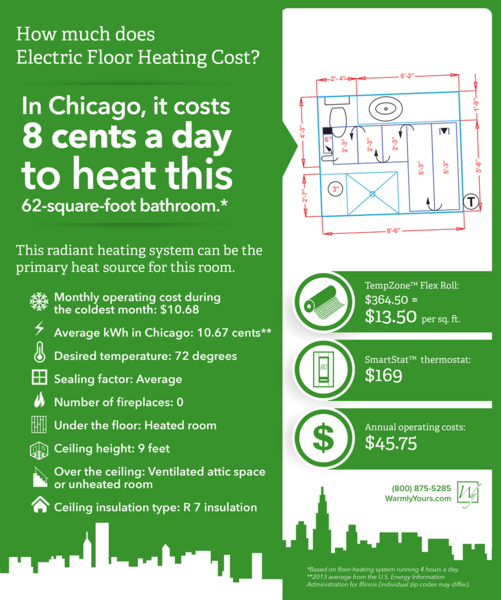 And beyond that, it only costs $10.68 to heat the bathroom during the coldest month of the year, based on WarmlyYours’ heat loss calculations. 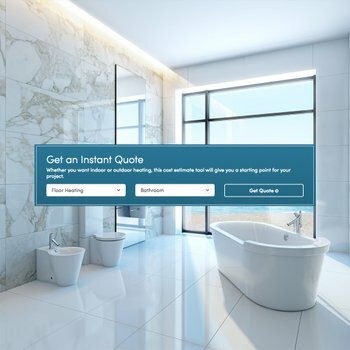 Best of all, the annual operating cost for the radiant heated floor is only $45.75 — a small price to pay for the comfort and luxury of a warm bathroom.